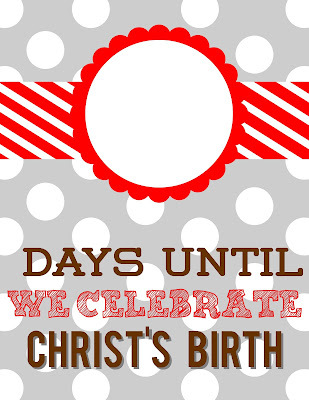 Here is my last countdown offering for Christmas. It's another dry-erase one with different wording. Instead of Christmas, it is specific to His birth. It comes in two different color combos. Download links for blog subscribers are under each picture. Hope you enjoy! And since we're on the topic of celebrating... I have got some great news to share! We finalized the adoption of our Little One last week. Praise God for His promises! We are ever so thankful! This is the best thing I'v seen for this Christmas! Thank you so much for creating and sharing! God bless you and have a Merry Christmas!